MARIGNANE, France --- The H225M, with 88 aircraft currently in service in six countries across the globe, has surpassed the 100,000 flight-hour milestone, following its first delivery to the French Air Force in 2006. The aircraft was rapidly deployed by the French Air Force in Lebanon in 2006 where the H225M, also known as the Caracal, successfully evacuated around 300 people. Since then the 11-metric-tonne H225M has proven its reliability and durability in combat conditions and crisis areas such as Afghanistan, Chad, the Ivory Coast, the Central African Republic, and Mali, while also supporting NATO-led operations in Libya. “We are thrilled to see that the H225M has achieved this symbolic milestone with helicopters flying in different corners of the globe and in some of the harshest theatres of operation” said Michel Macia, Head of Super Puma programme at Airbus Helicopters. “Its state-of-the art avionics and world renowned four axis autopilot, its exceptional range and payload capacities, combined with a large cabin designed to carry 28 troops and powerful air-to-ground and air-to-surface armament and electronic warfare system allow the H225M operators to carry out the most demanding missions” he added. Operating both from ships and from land, even in icing conditions, this helicopter has an all-weather capability supported by night vision goggle compatibility. The helicopter’s outstanding 1,296 km range can be extended with air-to-air refueling capabilities, allowing for flight times of up to 10 hours, as demonstrated recently by the French Air Force in operational conditions. 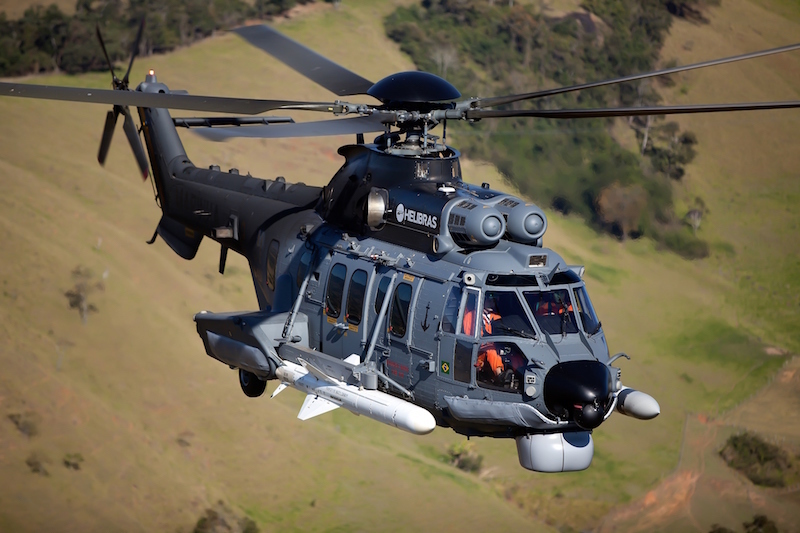 The H225M, a member of the Super Puma family, is relied upon as a force multiplier by France, Brazil, Mexico, Malaysia, Indonesia, and Thailand. The Royal Thai Air Force has recently renewed its trust in the aircraft with a follow-on order of four aircraft for combat search and rescue and troop transport missions. Other recent customers for the H225M include Kuwait who signed a contract in 2016 for 30 aircraft and Singapore. The H225M continues to attract interest from governments worldwide as a powerful multi-role aircraft capable of meeting their operational needs.